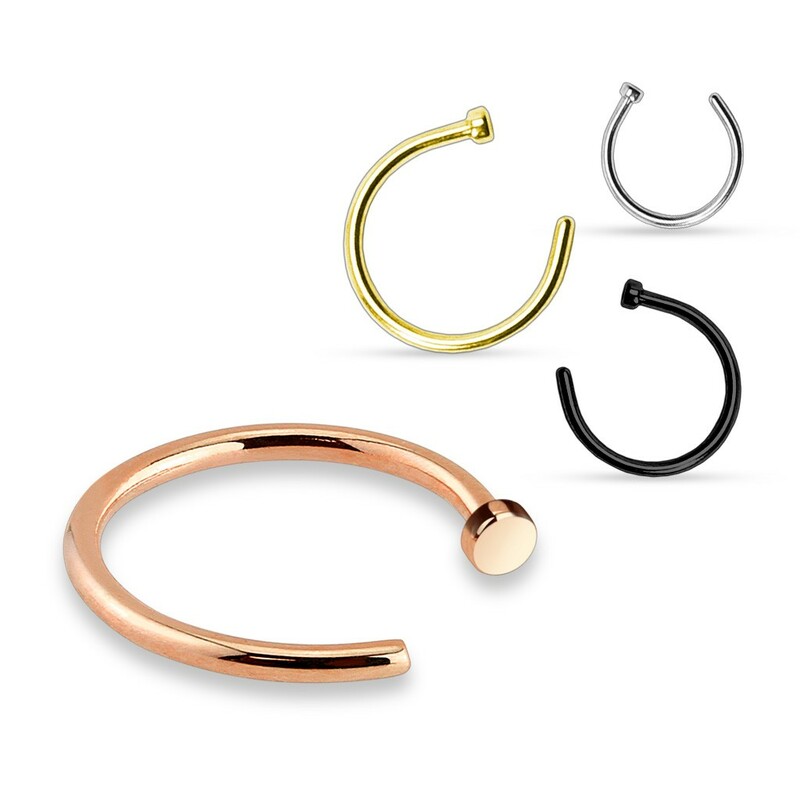 This set contains four different nose rings. Each ring is made of surgical steel and three carry a special plating. The rose gold ring carries a rose gold plating, the gold ring a gold plating and the black ring carries a titanium plating. The ring can be worn with the disk on the inside of the nostril creating the look of a fully closed ring. Arrived really quickly. As described and really happy.